Seahorses inhabit a variety of habitats such as coral reefs, seagrass meadows, mangroves, estuaries and open bottom habitats. One of the unique features of seahorses is male pregnancy. Female seahorses deposit their eggs into a special brood pouch in the male seahorses abdomen. The male then carries the eggs until they develop and hatch, giving birth to live young. Many seahorses are also known to develop lifelong bonds with mates and engage in complex courtship rituals. Seahorses are highly localized with small home ranges. Combined with other life history characteristics such as low reproductive rates and lengthy parental care they are particularly vulnerable to overexploitation. 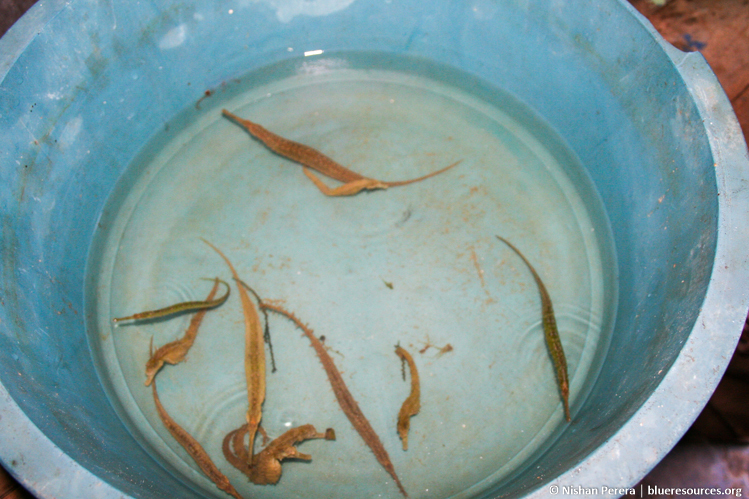 Seahorses are harvested extensively for use in Traditional Chinese Medicine (TCM), as curios and for the marine aquarium trade. 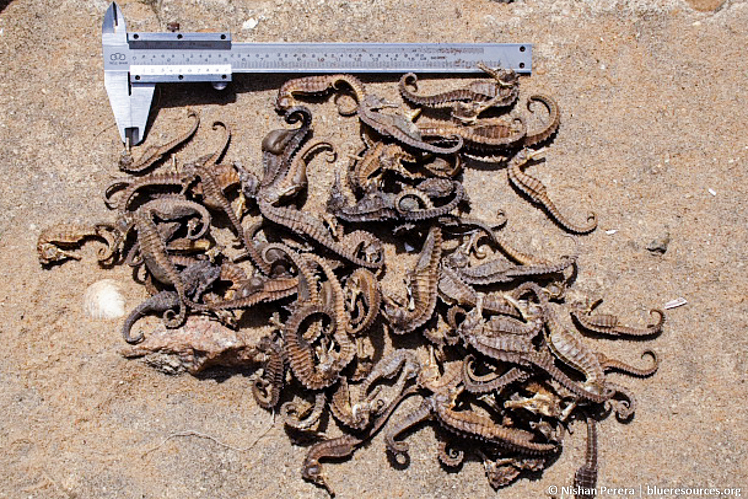 Large numbers of seahorses are also caught as by-catch in commercial fisheries and many important seahorse habitats such as coral reefs and seagrass meadows are degraded or threatened by human activities, resulting in a rapid decline in global seahorse populations. Thirty eight species of seahorses have been listed on the IUCN Red List of Threatened Species (IUCN 2010) and the entire genus Hippocampus has been added to Appendix II of the Convention on International Trade in Endangered Species of Wild Fauna and Flora (CITES) in order to monitor and regulate international trade. Information related to seahorse species, distribution, ecology and fisheries in Sri Lanka is particularly sparse. Our work, in collaboration with Project Seahorse and supported by the Zoological Society of London (ZSL), attempted to document distribution patterns, population structure and by-catch of seahorses in Puttalam Lagoon. In addition, a review of global trade in live seahorses has provided useful information on traded species and trade routes as well as changes influenced by trade regulations. It is hoped that ongoing research will result in a more sustainable trade of seahorses that is beneficial to both seahorse population stability and coastal communities in the long term.